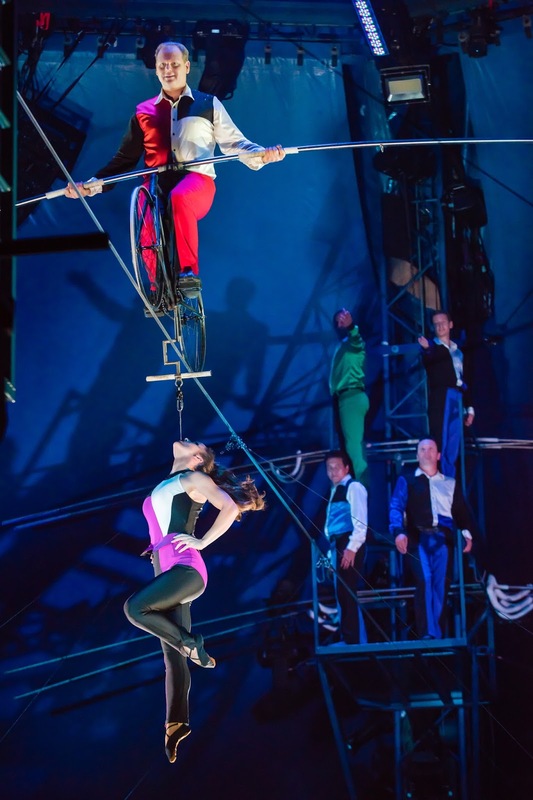 baby meets city: The Big Apple Circus is Back! After a year-long hiatus, the Big Apple Circus is back at Lincoln Center, celebrating its 40th anniversary. We were lucky enough to attend one of their first performances, and WOW, all I can say is this show never disappoints -- each artist, from jugglers to roller skaters, trapeze artists and tight rope walkers (and more!) are just SO amazing. With a live orchestra to boot! 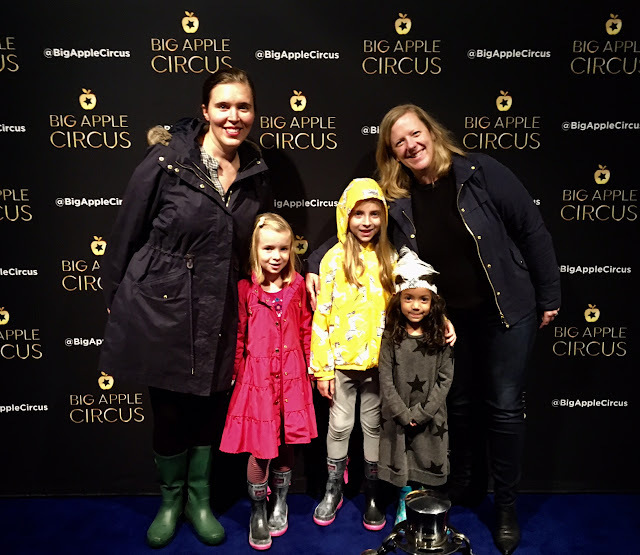 We first saw the Big Apple Circus a couple years ago, and while a few of the acts are the same (though do you ever tire of seeing a poodle jumping through a hoop? ), there were plenty of new performances, too. A duo from South America BLEW ME AWAY with their roller skating act (V loved that one especially since she got roller skates for her birthday) and Nick Wallenda, known for incredible feats on the high wire, closes out the show along with his family. The circus guarantees plenty of "pearl-clutching," crazy fun moments in a space that's intimate enough to allow everyone a great view of the action. Catch the Big Apple Circus daily between now and January 7th. 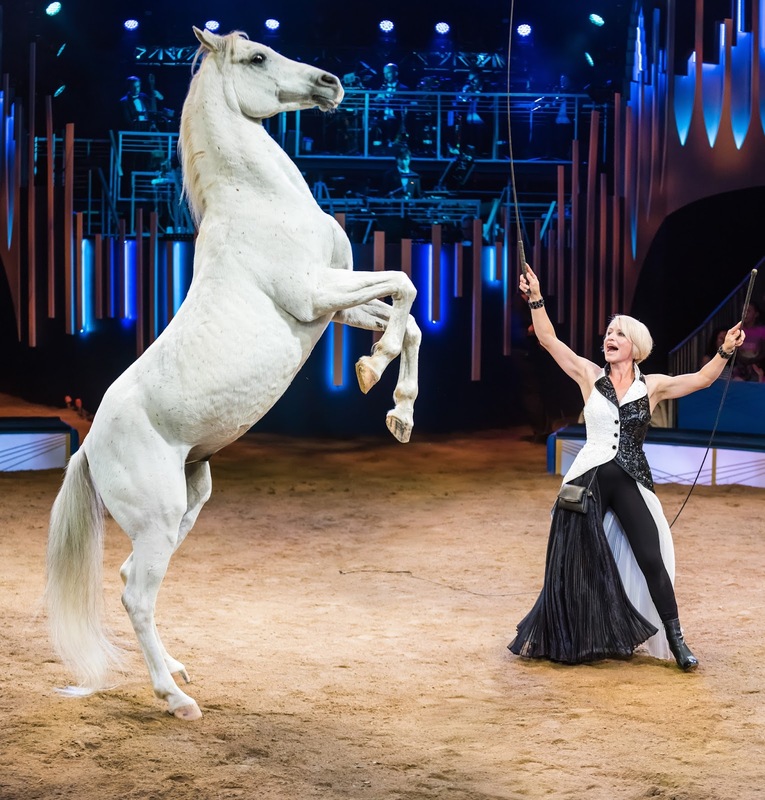 In an effort to make sure everyone has a chance to experience the circus, there are also autism-friendly and "Circus of the Senses" performances for those who are hearing and visually impaired. I also wanted to mention that after the show, we ran into a friend of Millie's from school who uses a wheelchair, and his mother said she was very impressed with the access & ease she was able to enter/exit & get around the space. Kudos! Fun day at the circus with friends! Disclosure: I was provided with press passes to attend a performance of the Big Apple Circus. All opinions are my own.